Right here at 20th and Harney Streets as the Training School for Nurses for Omaha’s original Methodist Hospital. 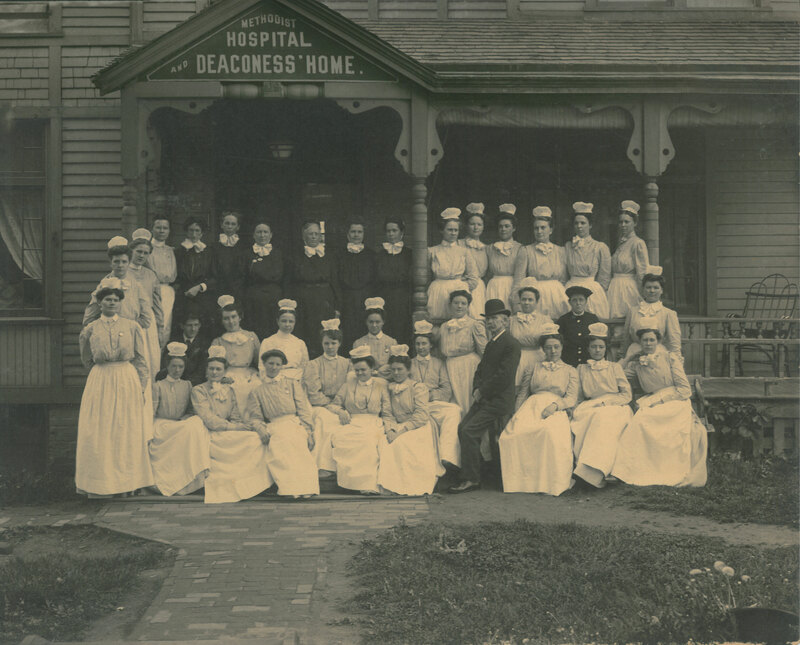 The hospital and school opened in 1891, and the first class of six student nurses graduated after two years of training, mainly in the menial chores typical of the early-day hospital. In 1908, when a new Methodist Hospital opened with much fanfare, student nurses rejoiced in the most modern of conveniences: an elevator. No longer were students required to carry their patients up and down the stairs, to and from the operating room. Nebraska Methodist College – the Josie Harper Campus is Omaha’s longest continuously operating nursing and allied health college, now with a full range of healthcare certificate and degree programs.